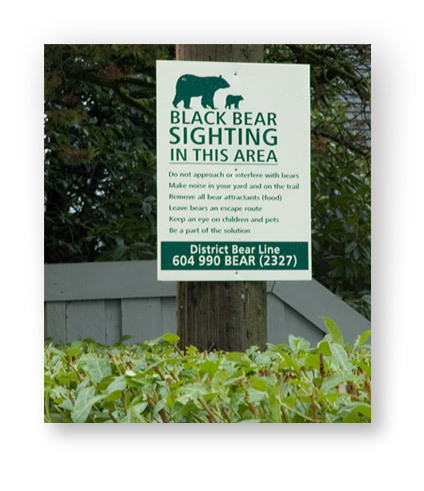 Living here on Vancouver’s North Shore means living with black bears. With the mild weather, and an abundant supply of easy-pickings (read garbage) some of the local black bears are sticking around for the winter instead of heading up into the snow for a sleep. Personally, if I had the option of sleeping for a few months or spending my days working, I know which way I’d go. Despite the great work of the North Shore Bear Network and the Get Bear Smart folks, too many people continue to leave bear-tempting-goodies out, things like garbage and bird feed.